There was something for everyone in the GSG booth at the ISPA EXPO! Everything appears small in this picture, but there are some BIG mattress industry innovations down there. 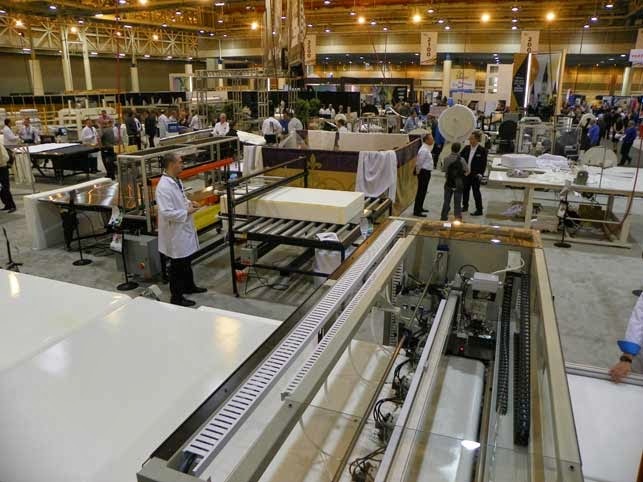 With about a dozen new systems demonstrated on the floor, there are so many ways GSG can help your mattress production. Be sure to contact your local GSG representative for a closer look at the details. 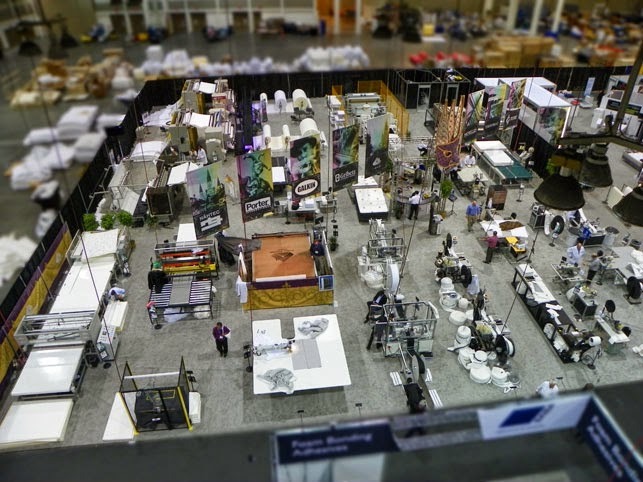 The GSG booth at ISPA EXPO, is the place to see it all, but see your GSG rep for even greater details. Here is a view from the GSG booth highlighting specialty covers cell equipment. Naehtec NC-1199-1 or Porter PZM-2500 - Either of these zipper machines can add zippers to the covers if necessary. Don't see a ZipCutter cover cutter in this picture? Sorry - it's there, but we'll share that in greater detail soon! What a sight! Hundreds of customers have been filling the GSG booth to see the newest available mattress manufacturing technology. About 40 new machines are drawing mattress producers from around the world. It's been quite a celebration in New Orleans and we're only half way through. Contact your GSG rep to find out what must see from this show. All eyes are on Wildstitch and it's a BIG deal in the GSG booth! Gribetz has a long history of developing the industry's leading-edge technology and Wildstitch is the next step. The next HUGE step, that is. Wildstitch Technology can increase your productivity by double-digit numbers! There are many new GSG systems to improve your mattress manufacturing efficiency and productivity. Stop the GSG Booth 2049 and take a good look around to see how we can help your business grow. It never ceases to amaze me... I've seen this happen many, many times, but it still seems remarkable to be able to transform some raw concrete into a showroom factory in a matter of a few days' time. Mix in some signs and we are on our way! We hope you're on your way to New Orleans to see how this turns out. As amazing as it is to transform this space, the machines that fill it up is even more so. About 40 leading-edge GSG mattress manufacturing machines will demonstrate the latest methods available to improve your production. 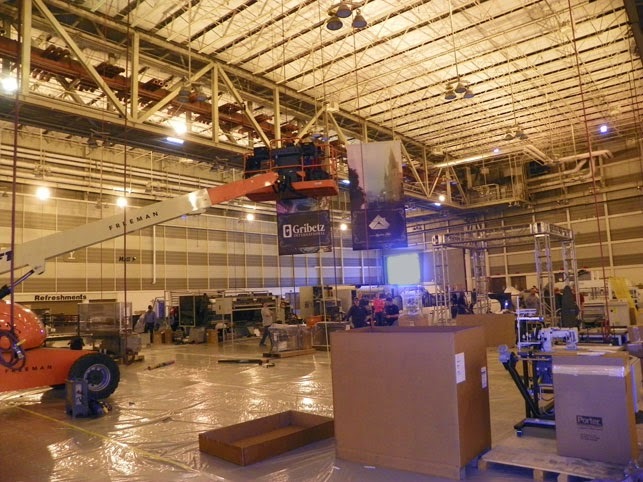 It takes great efficiency to put this show floor factory together like this, and the experience and advanced technology behind it can make your factory a more efficient plant. 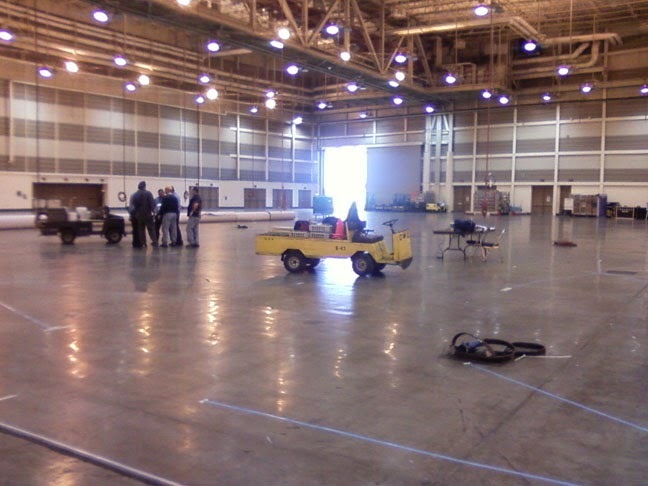 Join us GSG in booth 2049 to see how this turns out and see the manufacturing system that can transform your business. No 1's: Wichita State, Florida, Virginia, Arizona... and GSG? 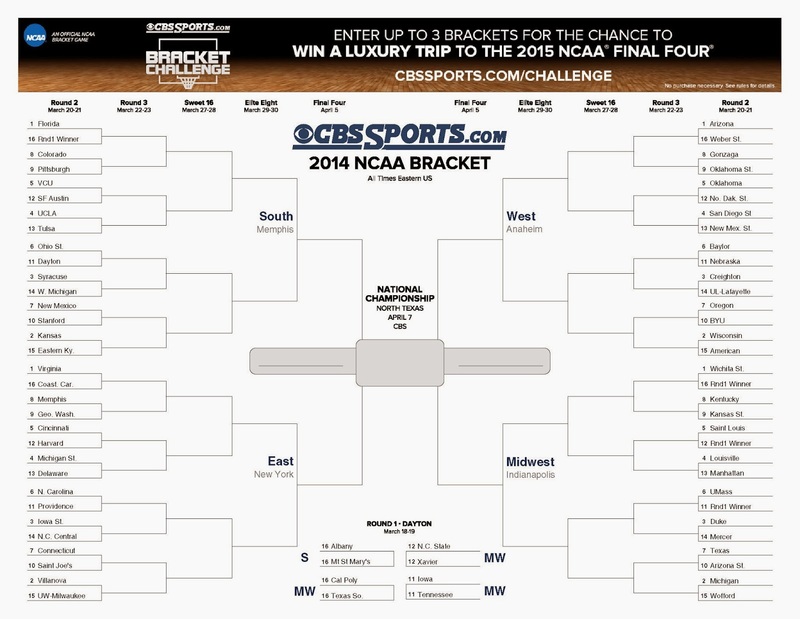 You may be filling out your basketball championship brackets and following results of every game with great intensity. All the Number 1 seeds are selected and now it's time to see how the tournament evolves. Quilting Technology - Gribetz International in unveiling groundbreaking new technology that can make your productivity soar by up to 25% ! That's a slam dunk you must take a look at. Zipper cover production - Score with our new equipment that makes this popular style of mattress production more lucrative than ever before. Engineered Borders - GSG has a wide selection of stylish border production machines never seen at ISPA EXPO before. It's a fast break to profits with many options. 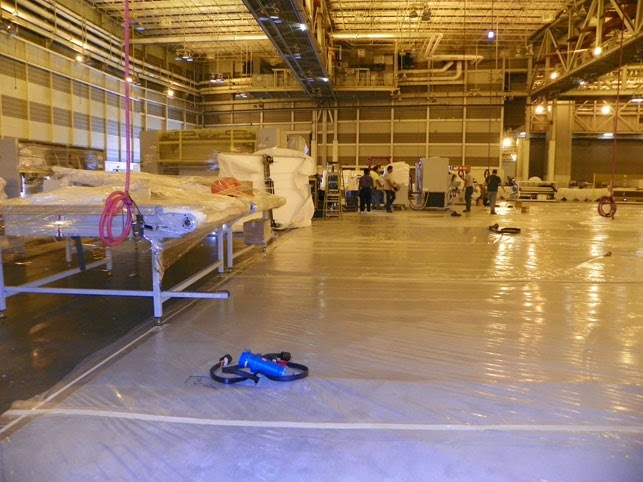 Glue Line - GSG has a new, water-based automated adhesive system that's ideal for foam encasement units or layered foam. It's a winner in every way. There's a full bracket of new GSG systems - ask your GSG rep about the dozen new and updated machines. Like the basketball championship tourney, there are always surprises you may have never expected. So stop in the GSG Booth 2049, and see if something surprising floors you. "If I could invent one thing to make the world a better place...."
That's the question on the main page of Google today. To some, it may seem like such a daunting proposition that they'll never even try to think of such an invention. But I'm sure Google already knows there are a lot of different answers out there to better the world for many different people. If that scope is too broad - what invention would make your mattress factory a better world for you? That's the kind of question GSG asks every day. 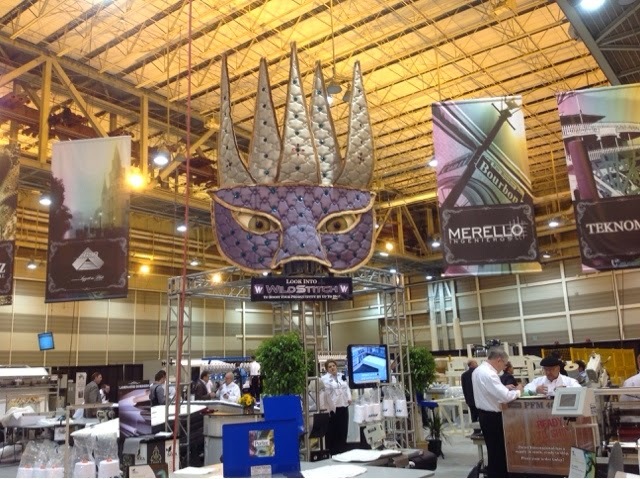 Meet us in New Orleans for ISPA EXPO, and we may already have this new invention waiting for you. If not, sit down and share your vision with us... perhaps we can make this happen for you! We'll have new equipment for zipper covers, quilting operations, material waste reduction, lean manufacturing methods, Engineered Borders - and much more. Yes, we'll have many different solutions, and one could really make your world a better place. 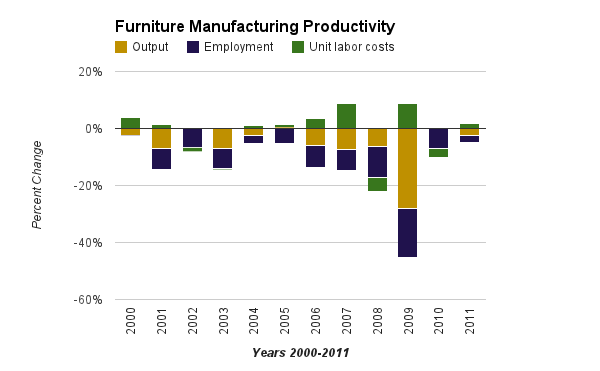 There is a great deal of news these days about worker productivity in US manufacturing. The recent recession forced many companies - very likely your own included - to meet demand with fewer resources. Manufacturing worker productivity shot up, but it may have been at unsustainable levels. As industries recover and settle into familiar production patterns this worker productivity rate will likely subside. If they return to their old ways, that is! This chart, based on data1 from the US Bureau of Labor Statistics, shows more long term patterns that existed before the 2008 recession and how our industry is emerging from it too. To sum it up, though employee headcounts have declined with reducing overall production output, unit labor costs generally continue to increase. 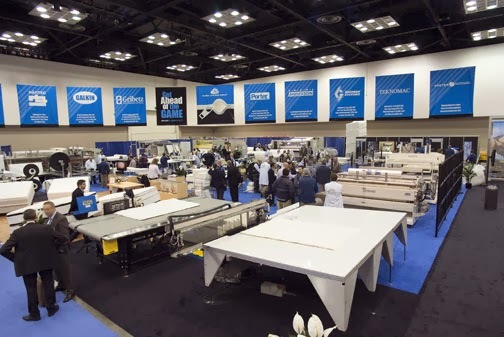 Global Systems Group will be demonstrating new, highly-productive mattress machinery systems at ISPA EXPO. New advances in technology and engineering have made machine automation more affordable and practical than ever. This is the best way to maintain improved productivity rates now, and in the future. This small, automatic border measuring machine, from Porter International, is small step towards a more productive future for you. It's a simple, table-top machine to replace the laborious task of hand-measuring and cutting mattress borders with the old-fashioned peg table. The BM-50 can measure a Queen size border in under 3 seconds - with computerized precision. See the BM-50 and over a dozen new systems at the GSG booth in New Orleans. Celebrate the beginning of a more productive future! "...The warning, released after the Tokyo market closed Friday, highlighted a growing chasm between Nintendo (IW 1000/561) and global rivals Sony and Microsoft, as well as the trio's battle against cheap -- or sometimes free -- downloadable games for smartphones and tablets..."
Read the full IndustryWeek article here. This story should cause all manufacturers to take notice. Only a few, short years ago, this electronic game system was on everyone's wish list and demanding top dollar. It earned many innovation awards, new releases sold out within an hour at some locations, and over 100 million units have been sold worldwide. But now, changes in competition and technology have resulted in weak Wii sales, and Nintendo is facing a $240 million fiscal year loss. Changes in technology and competition within the mattress industry can quickly affect your own market position. You must stay alert for new innovation and assume your competition is doing the same. Your mattress product could be the next Wii story - either the early innovation success story, or the late-in-the-game weak sales story! Visit the GSG booth at ISPA EXPO to see the latest mattress manufacturing technology that can make your business a headliner success story. Read more mattress manufacturing news at www.gsgexpo.com. New Orleans – a destination for celebration! You have a lot of opportunities ahead of you in the mattress industry and we want to celebrate that with you at ISPA EXPO 2014. Global Systems Group will demonstrate new technologies that can improve your manufacturing efficiencies and increase productivity. We’ll share new equipment to produce the latest bed styles and updates for old standards. 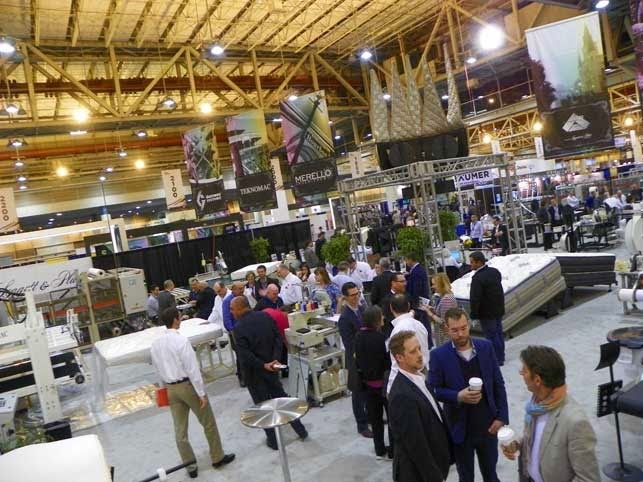 Whether you are re-inventing your manufacturing process or simply replacing older equipment, the GSG booth at ISPA EXPO is a crucial destination to see all that’s available. Customer-driven re-design makes the world’s fastest 3-bar quilter more user-friendly for even better service and performance. This highly-efficient, automated water-based adhesive system eliminates overspray and better regulates the costs of your gluing operation. 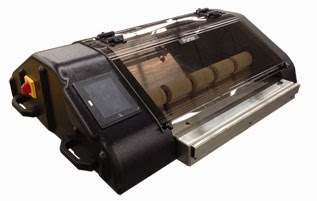 This new semi-automatic tape edge machine combines the durable quality of the proven Mattress Master series with new cost-saving features for a very effective and affordable tape edge system. Join us in New Orleans as we celebrate the new opportunities ahead for you in 2014.